The Australian Dance Festival this September is a celebration of Australia's best in dance. As part of the celebrations ADF will showcase Australia's best dance crews on Friday September 16 across all genres of dance. The unique competition will award prizes for the most entertaining dance crew, best choreographed dance crew and the dance crew displaying the best technical ability. The winner of each of these titles will receive $2,500 and a trophy. Phly Crew recently qualified to represent Australia in the upcoming Hip Hop International in Las Vegas this July. The enthusiastic James Barry (JB) and Neale Whittaker founded the unique hip hop crew when performing together at Luna Park Sydney. Recently Phly Crew has performed alongside many national and international artists and their choreography has earned them nationwide recognition. The Australia Council for the Arts welcomes the budget announcement of $10 million in new funding for artists! The initiative will support artists across all artforms to deliver new artistic works, undertake fellowships and create additional presentations to Australian audiences over the next five years as part of the Government’s commitment to invest in a creative Australia. 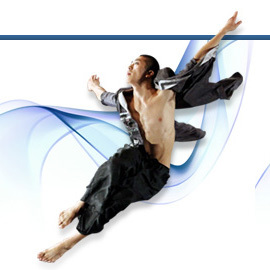 Dancers across Australia are looking forward to the 2011 Australia Choreographic Competition – as part of Spash!dance Festival in Geelong, Vic this July. 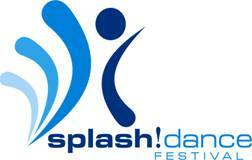 Splash!dance includes a free Carnivale afternoon, a showcase performance of local dance schools, a variety of dance workshops for all ages and levels, and The National Choreographic Competition. Held on Saturday July 9, the competition has two categories and open is to secondary school students, tertiary students and adults with total prize money of $4500. Applications close May 27. Suga Pop is a member of the world famous Electric Boogaloos and the legendary Rock Steady Crew. Choreography credits include Michael Jackson for Thriller and Beat It music videos, James Brown, LL Cool J, De La Soul and Lionel Richie. 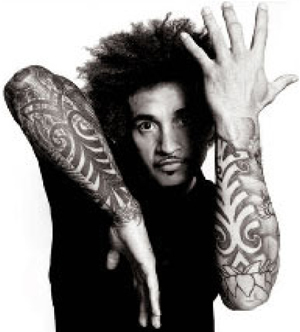 Suga Pop will be at Jason Coleman’s Ministry of Dance, North Melbourne on Friday May 13 for a special workshop. Having over 30 years of dance experience he is The Master of Hip Hop - this workshop is not to be missed! For further information contact MOD on 03 9329 6770. Shayarne Matheson (18 yrs), Joel Woellner (16 yrs) and Elise Hart (18 yrs) all trained at Tanya Pearson Classical Coaching Academy, Sydney were prize and scholarship recipients at this year’s prestigious Alana Haines Australasian Awards held in Auckland, New Zealand. Shayarne Matheson was announced as the Supreme Award Winner receiving a bursary of NZ$11,000 and a scholarship to the Royal Ballet School. 16 year old Joel Woellner was awarded 1st Runner Up Supreme Awards B Group and received a week’s work experience scholarship with the Australian Ballet Company and Elise Hart was awarded 3rd Runner Up Supreme Awards B Group and two week’s work experience scholarship with the Hong Kong Ballet Company. One of Australia’s most renowned contemporary choreographers, Sarah Boulter, was just invited to choreograph two routines for SYTYCD UK for the Showcase Week and Top 20 week. She recreated "Man’s World” on the top 10 boys, who all found her choreography ‘extreme’, due to her signature athleticism. She then choreographed a routine to ‘Turning Tables’ by Adele which was called the best routine of the night! Sarah enjoyed the challenge and found the British team a pleasure to work with. “The biggest thrill for me was working alongside such world recognised choreographers such as Karen Bruce and Mandy Moore. Both were humble and amazing”, Sarah told Dance Informa. Audiences at the opening night of British Liaisons in Sydney experienced a triple treat last night. It was revealed that a trio of dancers from The Australian Ballet had been promoted to the most senior rank of principal artist. Artistic Director David McAllister made the surprise announcement onstage in front of a packed Opera House. Senior Artists Andrew Killian (31, from Melbourne), Amber Scott (28, from Brisbane) and Leanne Stojmenov (30, from Perth) were completely unaware of their impending promotions until the good news was announced. 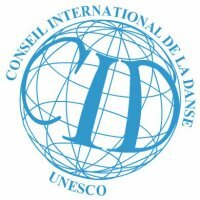 The 2nd Korea International Modern Dance Competition, organized by the Korea dance Association and approved by the UNESCO International Dance Council (UNESCO-CID), will take place from June 22- 28 in Seoul, Korea. Registration is now open worldwide for male and female soloists aged 17-28. Dancers will compete for a grand prize of $7000 USD. Registrations close May 20. The opening event for Dance Week this weekend, Sunday May 1. Ausdance WA with Be Active, the City of Perth and the PPCA will present Dance Live, a two hour showcase of the finest West Australian dance talent at Forrest Centre Tavern and Reception Centre, Perth. Dance Live will present a mix of professional dance companies, dance studios, community and cultural dance groups from the metropolitan and regional areas of WA. There will be something for everybody at Dance Live, from ballet to break, contemporary to hip-hop, and Chinese dance to flamenco. Doors open at 2:00pm. Australia’s Queensland Ballet are attempting to break the Guinness World Record for the world’s largest ballet class. 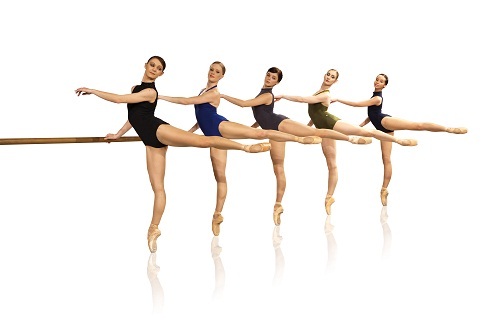 On Sunday, May 22 around 2000 dancers from across Australia will gather with Queensland Ballet dancers on the Kurilpa Bridge in South Brisbane for a 30 minute basic, but fun classical barre class starting promptly at 9:00am. Dancers of all ages and levels are registering to join in and help beat the current record of 1,055 participants set by Staatsoper Hannover in Germany last year. The World's Largest Ballet Class is a challenge organised by Queensland Ballet as part of its commitment to putting Brisbane on the international dance map. After the devastating floods that ravished the city in recent months, we hope that the event is a triumph for the city of Brisbane and the state of Queensland. Jayne Smeulders' new Cinderella is set to premiere by WA Ballet in just over 2 weeks. The heartwarming fairytale is brought to life in an enchanting new production for the company. West Australian Ballet Leading Artist, Jayne Smeulders, will spin a tale of magic and delight in her first full-length choreography for the Company, whilst Allan Lees, designer of the spectacular 2010 production of Don Quixote, has created sumptuous new costumes and a beautifully restored and re-imagined set for this family ballet classic performed to Sergei Prokofiev’s evocative score. Performances run May 6-21 at His Majesty's Theatre. Les Ballets Persans presents the 8th season of the European Youth Dance Project (EYDP) this year. For the upcoming season, the project engages professional and semiprofessional male and female dancers, offering a complete program of performance production, repertory work and technical enhancement with focus on classical and neo-classical training, master classes and more. For the first time ever the project is going to stage performances outside Europe in Toronto, Canada during the 3rd Biennial Summer Festival of Tirgan in July. Are you a dancer between the age of 18 and 28 trained in classical and contemporary techniques who has completed your dance education? Deadline for spring (summer) season 2011 application is Friday May 8. Win Scholarships to Dance in Italy! The Dance Off has partnered with World Dance Movement to bring you the World Dance Movement International Dance Off Competition! 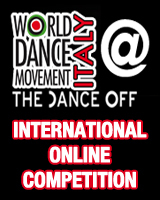 Dancers around the world can compete with each other through this innovative online portal for the chance to win scholarships to World Dance Movement Italy 2011 - a value of over $4,000! Simply upload a 1.5-2.5 minute performance before April 30, and you could win the chance to dance in Italy this summer with WDM's esteemed faculty. 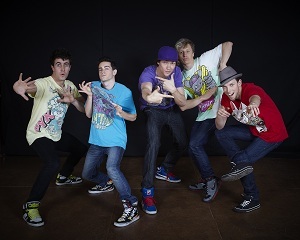 ABDC Features NZ Dance Crew! The new season of America’s Best Dance Crew has started in the States and for the first time ever the competition includes a team from outside the USA – and they’re from New Zealand! Right from the first episode Auckland’s all girl crew ReQuest have hit hard and wowed the judges. Currently riding high as the 2010-2011 World Hip Hop Dance Champions, Request is a crew to watch. GDC News: Alison Faulk - Supervising Choreographer for Britney Tour! Global Dance Convention faculty member Alison Faulk has a new role as Supervising Choreographer for the upcoming Britney Spears US tour. Alison, a versatile dancer, and teacher has made the smooth transition into choreography working with the likes of Miley Cyrus, Victoria Justice, Gina Katon and the award winning P!nk Funhouse Tour. Alison will be replaced at GDC this year by fellow Beat Freak and choreographer Teresa Espinosa. Barry Youngblood, Gregg Russell, Gustavo Vargas, and newest faculty member Gina Starbuck will complete the team. GDC takes place at the Olympic Park Sports Centre, Sydney on April 16-17. For the greater part of the history of mankind, dance took place outdoors. People would gather in forest glades, village squares, churchyards, or on threshing floors, to enjoy dancing for hours on end. Nowadays, dance mostly takes place in ballrooms, clubs, theatres, school halls, studios and discos. This year we propose making a step back towards nature by celebrating World Dance Day in open spaces: streets, squares, parks, stadiums, beaches, parking lots, clearings - anywhere under the sky. On this special day dedicated to dance, let us mark the difference by practising, teaching or performing for everyone to see. Check out the April Edition, out today! 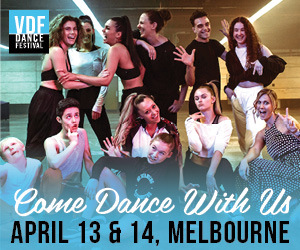 Hear from SYTYCD star Timomatic Omaji, Tap Dog Jesse Rassmusen and Melbourne's contemporary king Paul Malek. There's a great feature article discussing Full Time Dance, as well as Pointe Shoe Advice for all our ballet readers. 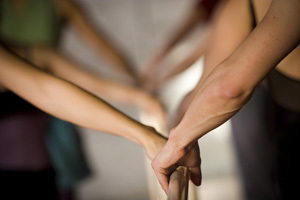 There's teacher tips and resources, news on the latest dance events, festivals and more. Make sure you sign up above to receive Dance Informa magazine in your inbox. Join Australia's largest dance readership today! 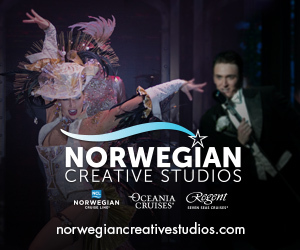 Princess Cruise Lines, Mystic Ballet USA and Ajkun Ballet Theatre are all visitng Aus in the next few months to audition our dancers for their international opportunities! Make sure you check out the AUDITIONS pages for all the details. Good luck! 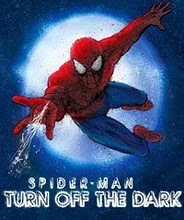 The producers of the troubled Broadway musical Spider-Man: Turn Off the Dark have made yet another change, brining in a new choreographer Chase Brock. The ill-fated musical has had a string of disasters attracting news coverage from around the world. Director Julie Taymor was even fired after nine years of work on the show! Chase Brock has Broadway credits as an assistant to choreographers and as a dancer, but this new gig could be his highest profile job to date, after choreographing a best-selling Wii game, Dance on Broadway. Tezoro Productions LIVE are now offering their entire portfolio of instructional dance DVDs, including the popular Live at Broadway Dance Center line, to their customers online through streaming and download options. Beginner, Intermediate and Advanced instruction is available from top US choreographers Tyce Diorio, Desmond Richardson, Stacey Tookey, Joey Dowling and Mandy Moore. 3 nights of parties, 2 days of workshops, 150 dancers, 50 workshops and 60 hours of absolute fun featuring celebrity dancers from SYTYCD and Dancing With the Stars! Melbourne Latin Festival, now in its third year running, is one of Melbourne’s largest Latin dance events. The festival features daily workshops that cater for the complete novice right through to advanced professional in a variety of Latin genres with some of the best Latin DJs and live bands. 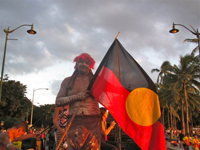 Descendance Aboriginal and Torres Strait Islander Dance Theatre has toured Hawaii for seven successive years, but the 2011 tour will now be remembered for the tsunami which was due to hit the islands on Friday March 11th at 3am, in the aftermath of the Japanese earthquake. Honolulu was in a state of frenzy as sirens and public announcements roared throughout the city with warnings of the coming tsunami. Descendance performers kept their composure throughout the ordeal and the wave eventually lost momentum on its journey across the Pacific before it reached the shores of Waikiki. The Australian Ballet is joining forces with its In Schools Partner NAB to present its flagship education program to even more primary school students than ever before. 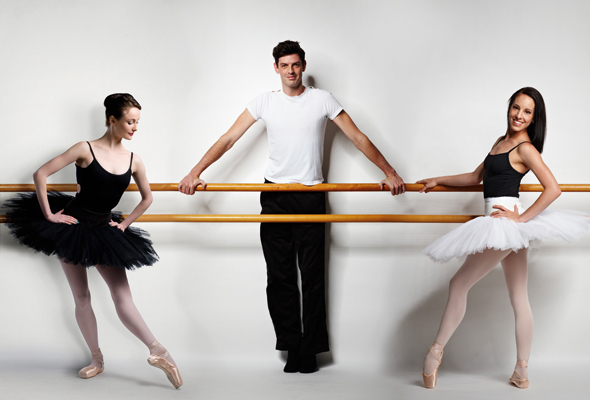 The 2011 Out There - The Australian Ballet in schools program has been officially launched! Dancenorth, Townsville and regional Queensland’s only professional dance company, has a new General Manager – Peter Helft. Peter brings a diverse set of skills to the role having worked in corporate roles in Australia that include Advertising Director of The Age newspaper, Melbourne; GM of Staging Connections, Sydney; and CEO of Brite Australia. Prior to these roles Peter was an actor for 10 years in the UK.